A state-of-the art tephra lab in the Department of Geoscience at UNLV supports archaeological research as part of an international effort to understand the evolution of early modern humans in southern Africa and Europe. The lab was created in 2013 to process sediment samples from the Pinnacle Point rock shelter in South Africa and was modeled after the tephra lab at Oxford University (UK). Our lab is unique in that it specializes in the processing and separation of extremely low abundance cryptotephra. This type of tephra occurs as very small glass shards (usually < 100 microns in size) and in very low abundances (less than 10 shards/gram). Once shards are separated they are analyzed by electron probe for the major elements and by laser-ablation inductiv ely coupled plasma mass spectrometry for the trace elements. Probe work is done at UNLV using our EMIL lab, but trace elements are analyzed at the laser lab at Michigan State University. The Pinnacle Point project was very successful and resulted in the discovery of glass shards from the Youngest Toba Tuff (YTT) erupted from the Toba caldera 75,000 years ago. A precise time line or isochron was established that helped archaeologists date changes in human behavior and tool technology. An important conclusion is that the human occupants of the Pinnacle Point rock shelter survived the Toba eruption; however, soon after the eruption, occupancy patterns changed from short visits to longer more permanent stays. Further, the occupants began to fire treat tools; this was a major advance in tool technology and human cognitive ability. This study is in cooperation with Dr. Curtis Marean at Arizona State University, Dr. Panagiotis Karkanas from the American School of Classical Studies in Athens, Greece and Dr. Minghua Ren at UNLV. 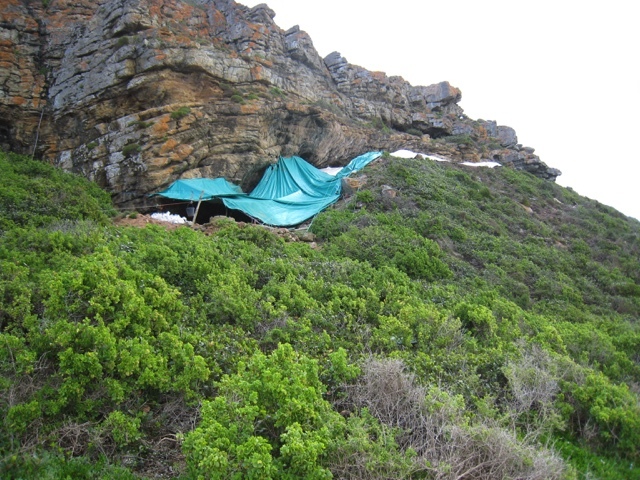 Recently, Dr. Gene Smith and his lab discovered YTT shards at an open air archaeological site at Vleesbaai, SouthAfrica located about 9 km to the west of Pinnacle Point. Establishing the YTT isochron at Vleesbaai allowed the precise temporal correlation of an open-air site and a rock shelter within the foraging range of the early modern humans. This allows archaeologists to compare human behavior in foraging areas to that in living quarters at precisely the same time (within the error of placing the isochron). As far as we know, this is the first time that a precise correlation like this has been accomplished. In 2017-2019, Dr. Smith’s lab plan to continue work in South Africa by processing samples from the Diepkloof site north of Cape Town and Klasies River, just west of Port Elizabeth. They also hope to collect samples from the Arma Veirana cave in Liguria, Italy. This is an important archaeological site because the cave sediments contain a complete record of the transition from Neanderthal to modern Human occupancy. Finding shards and establishing an isochron would help date this important transition. This project is in cooperation with Jamie Hodgkins at the University of Colorado-Denver.